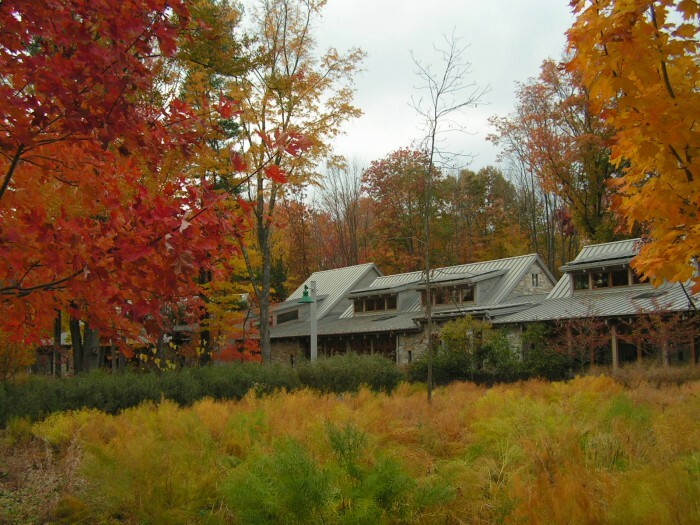 The Willow School in Gladstone, NJ was co-founded by Mark and Gretchen Biedron, who were committed to combining academic excellence, the joy of learning, and the wonder of the natural world in their new 200 student K-8 private school. 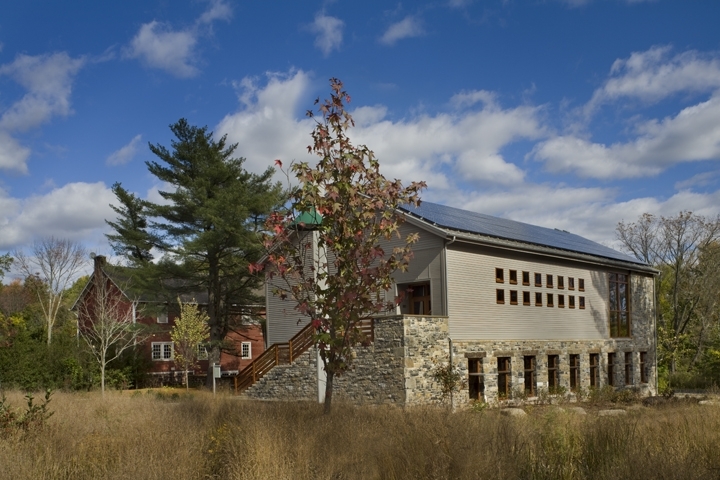 They sought to include environmental stewardship as one of the school’s three fundamental teaching objectives, and to make its site a living classroom. Through an integrative design process, Regenesis described how the ecosystem was formerly a productive forest and that overgrazing and farming degraded soil and plant life. The design process had already begun, but following Regenesis’ input and report, the project was reconsidered with this deeper purpose in mind. As a result, the entire site was designed around ecological system regeneration, and a core organizing principle was that the treatment and utilization of water would mimic natural processes. 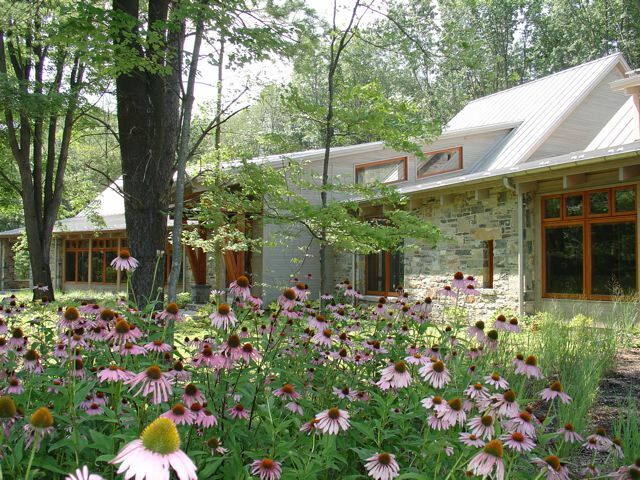 The design includes a constructed wetland for wastewater treatment; use of permeable paving, living roofs, bio swales and 60,000 plugs of adapted species meadow plantings to reduce stormwater runoff; use of an extended detention, deep pool wetland for stormwater treatment; and collection of rainwater for irrigation and toilet water supply. Beyond the technological solutions, all of the design features integrate with and support regeneration of the great expression of forest that was once there— the highest potential expression of living watershed on the site. Regenesis has been brought back into Phase 3 of the project to work with the Willow School faculty to further develop the curriculum around the concept of the school, community, and larger ecosystem as interdependent entities. This integrative process is meant to express how the entire system is connected, and how students can learn from their teachers and parents, their surrounding environment and watershed, and their school’s physical structure as well.